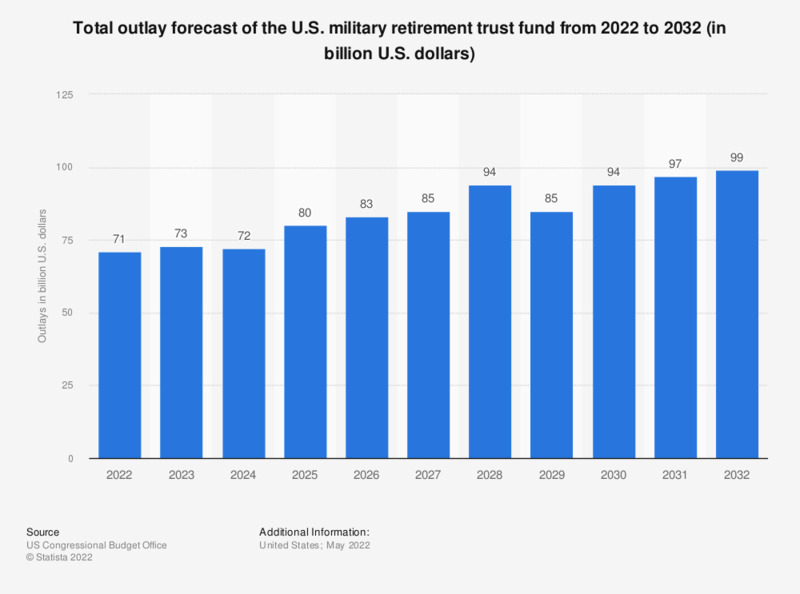 This statistic shows the total outlay forecast of the U.S. military retirement trust fund from 2018 to 2028. The total outlays of the U.S. military retirement trust fund are estimated at about 54.35 billion U.S. Dollars in 2018.